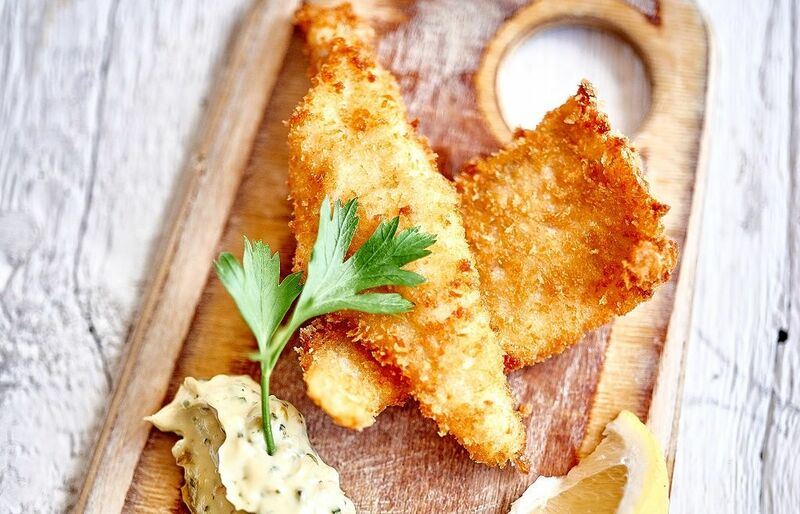 With fresh fish landed right here on our doorstep, our café creates simple seafood dishes with imaginative flavours. Drop in for breakfast or a cake with a mid-morning cappuccino, for lunch with many dishes designed to be light and healthy, or for dinner to enjoy our à la carte menu and a three-course set price one too. Our drinks order got misplaced. Kids meals were cold, cold chips are not nice to eat! Food arrived nearly an hour after ordering. Had to ask for water many times before it was given. They kept on forgetting the bread that we ordered too. At the end they gave us a 10% for the mix up but it was still not enough. Nearly paid a £100 for an average experience. Food was delicious and interesting. It was presented in a stylish way. The ambiance was beautifully understated and informal. Was great to see Rick and wife eating here too. Lovely evening, friendly staff, great food. Food was delicious and your staff were very welcoming and attentive. Loved the friendly atmosphere. V Cody but not crowded! Made us feel v special as was our 11 year anniversary and we were treated very well - thank you! All of the food was gorgeous. It’s expensive in my opinion. But then again it’s Padstow and you’re paying for the ‘Rick Stein’ name. We had lunch here having booked online to secure a table. The lunch was fantastic the mussels were amazing and the cod curry was fantastic. The atmosphere in the restaurant was light and airy and welcoming. Note to all when booking-I was glad we had not been sitting in the courtyard section next to the toilet queue as the lady there so succinctly put it she wasn’t getting the expected Rick Stein experience. All the front of house staff were exceptional in their contact with the customers , they knew about the menu and how to make patrons feel they were special just to them ! Rick should be very proud to have them on his staff . Atmosphere of cafe very good . Only downside are the loos . Our favourite restaurant - we always visit when we come to Cornwall. Such friendly staff, and amazing food. Love it! 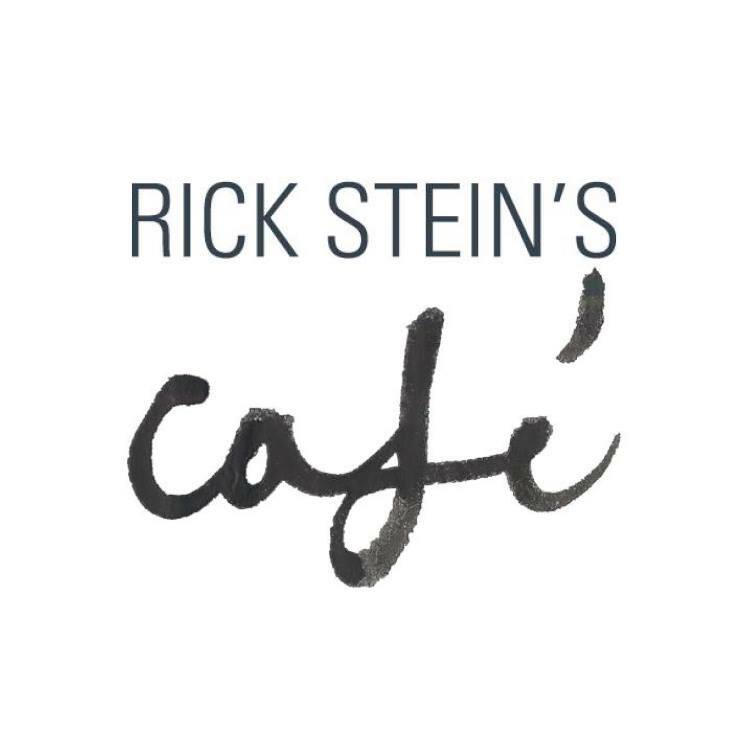 We loved the entire experience at Rick Steins Café: the ambience, the service, the food and the wine. It's not cheap and the portions are modest, but for a special occasion (which it was for us), I'd recommend it. 2 of us enjoyed a lovely dinner on a weekend in padstow. I had mussels for starter- very nice, my partner had spinach soup also good. Our main courses of mussels and I had fish cakes which were the best I’ve ever had. Side order we had bread and fries - average. Ricks Spanish wine was gorgeous as was espresso martini. We had coffee and truffles after dinner. Lovely atmosphere and comfortable seat and table. Service excellent. Great service -  really brilliantly trained team. Food tasty and good value. Thanks for a lovely meal. 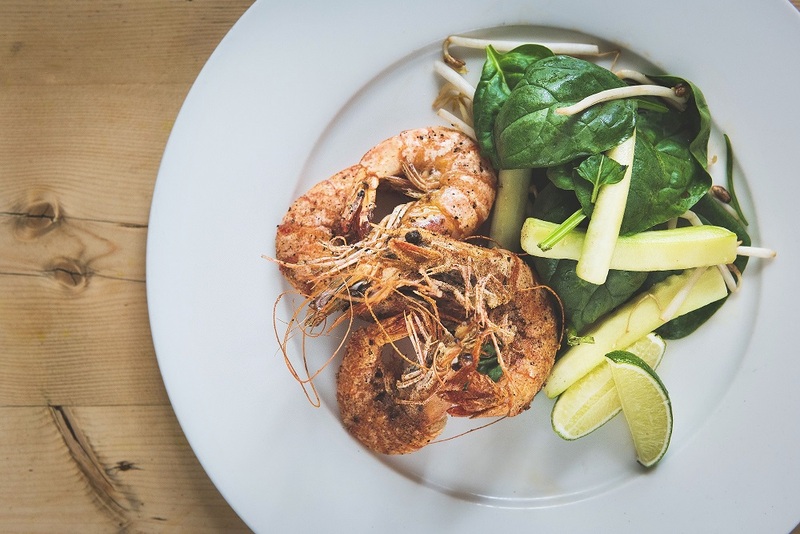 May family and I have been coming to Ricks Café for many years and to salt and pepper prawns are our favourite dish. 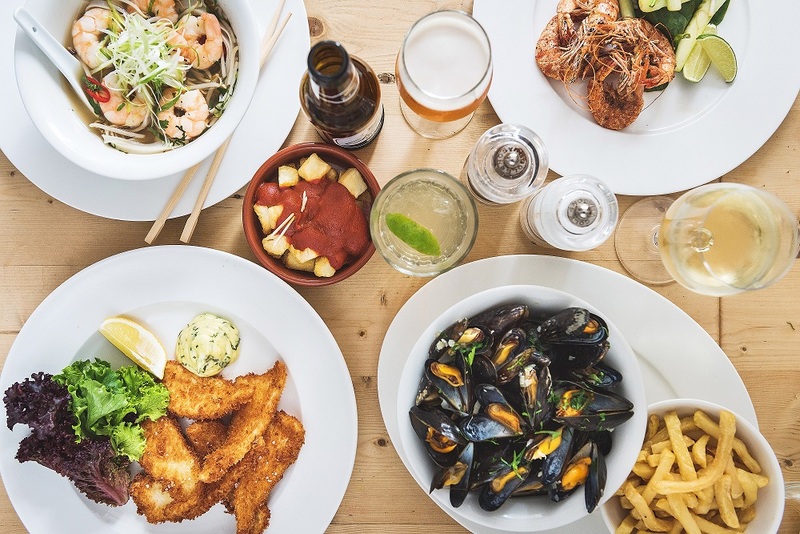 On previous visits we have not been able to book now it seems you can but though we rang in advance there were very limited time slots, but the café was not full when we dined. So I am a little confused? The service was not up to the standard expected when Piotr was there but he does have to have a day off, unfortunately! We visited to celebrate my wife’s birthday and couldn’t fault the service or the food. 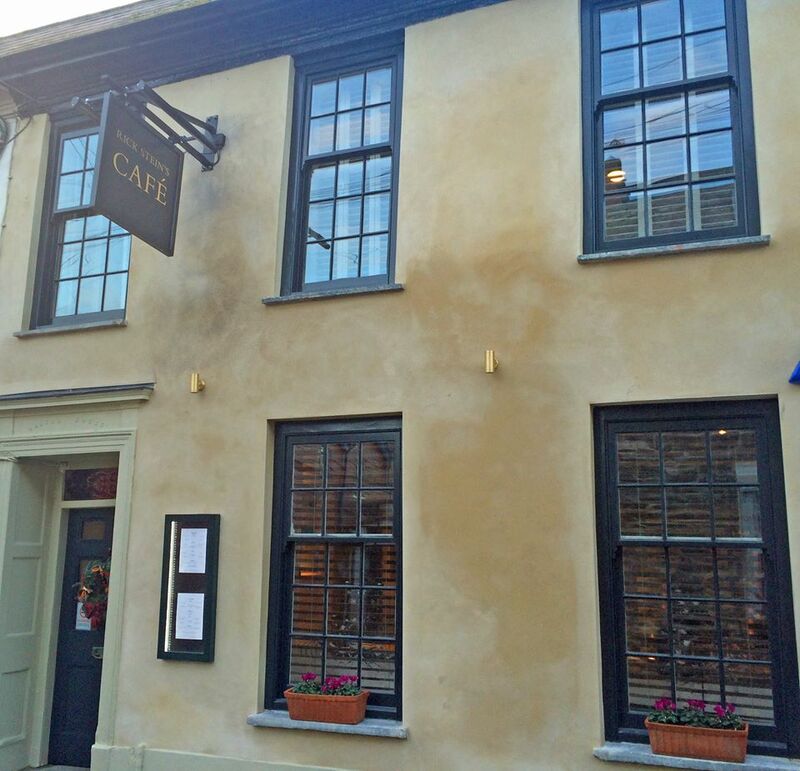 After visiting the Sandbanks restaurant 2 years ago we decided to book the Cafe in Padstow. Our waiter was really friendly and helpful and was attentive without being overly so. 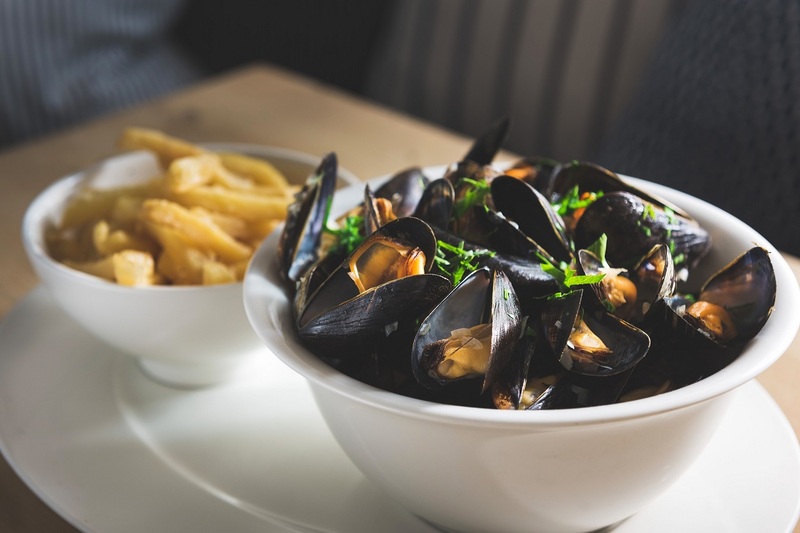 Our son had the mussels from the children’s menu but wasn’t sure about them when they arrived (they were lovely). Our waiter very kindly brought our son something else very quickly as an alternative. Our dishes & wine were amazing and the evening rounded off a great day. Our son said to our waiter that the food was great and he was allowed to go into the kitchen to thank the chefs in person. 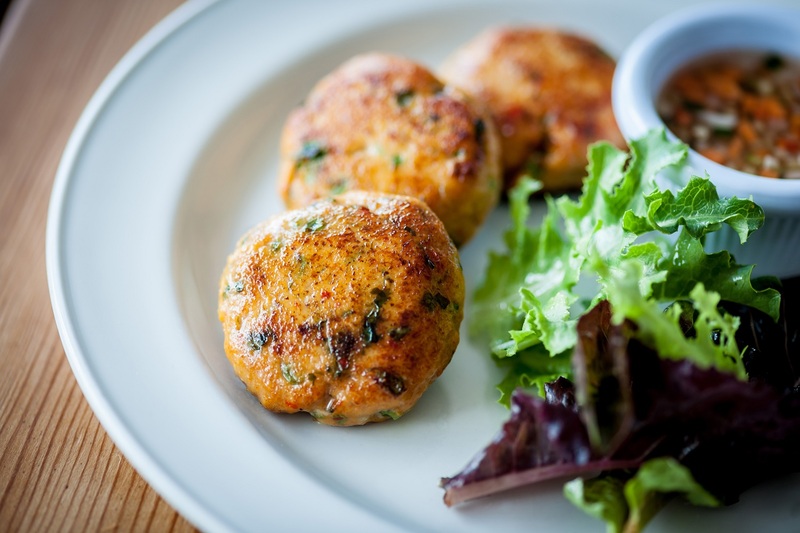 The restaurant feels very relaxed and without any pretentious feeling & they serve great food very simply. We had an excellent meal in a lovely place and the service was exemplary. Perfect! 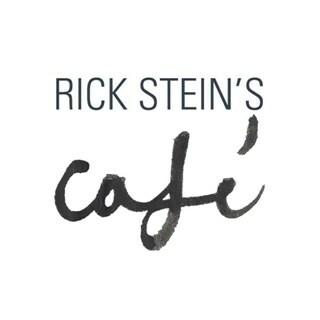 Have been eating at the Cafe since it first opened and would recommend it to anyone visiting Padstow, visiting at least twice a year my only slight criticism would be that the menu needs to change to reflect the seasons.